Growing income inequality is the result of educational disparities, stagnant wage growth in middle and lower class jobs, and a higher emphasis on creating a skilled workforce. Economists are divided on whether the implications of income inequality are positive or negative. 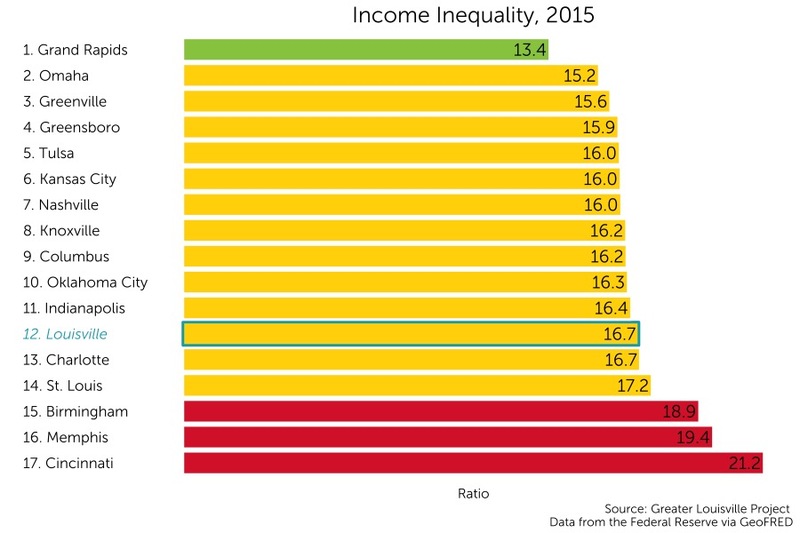 Louisville ranks 12th among its peer cities in rates of income inequality with the mean income of the top 20% of Louisville residents being 16.7 times greater than the mean income of the bottom 20%. Income inequality is measured by calculating the ratio between the mean income of the top quintile of the population to the mean income of the bottom quintile of the population. Louisville ranks among the middle tier on this metric according to a natural breaks algorithm. Cities in green are those that outperform their peers, cities in yellow represent the middle cluster, and those in red are a group that lags behind its peers on this indicator. Income inequality in Louisville has been steadily increasing since data first became available in 2010. 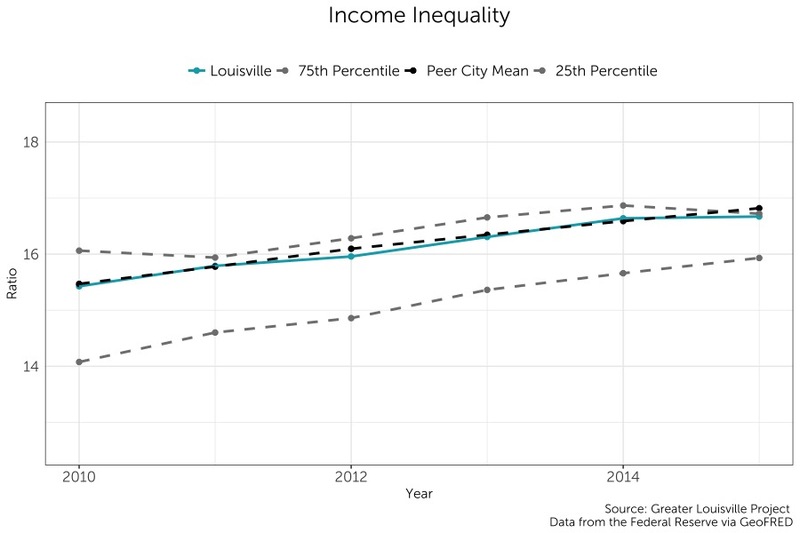 Louisville’s rate of increase in income inequality has been approximately equivalent to its peer city average.